Street racing has been an area of concern for law enforcement ever since multiple bystanders were killed at a race in Prince George’s County back in 2008. Despite the danger it is now as popular as ever and the constant stream of Hollywood street racing movies and reality television shows are not helping law enforcement’s cause. Police are aware that illegal racing occurs but they often only receive calls to service after the racing is over, and busting the participants in the act is rare. The races are never planned far in advance, and the locations and start times often change numerous times. Regardless, police are always on the lookout for the combination of bystanders and modified cars, and any future bust will likely create the more headlines. 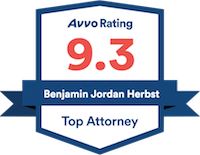 Benjamin Herbst is a Maryland disorderly conduct and traffic lawyer that handles criminal and personal injury cases in all state jurisdictions. Contact Benjamin for a free consultation anytime at 410-207-2598. Hit The Brakes: Trooper Stops Illegal Street Race, baltimore.cbslocal.com.